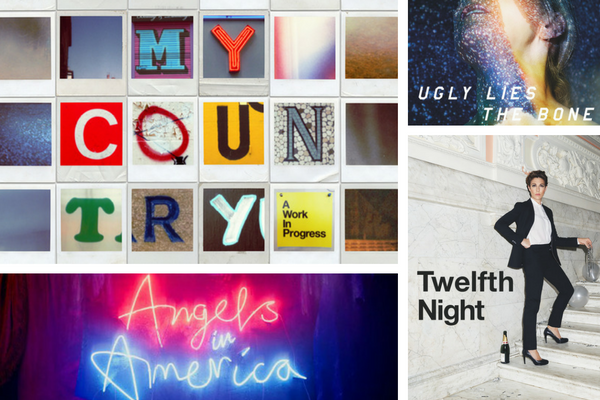 Coming up at the National in 2017: My Country, Ugly Lies the Bones, Twelfth Night and Angels in America. The National Theatre used to be one of my favourite theatregoing destinations, but I’ve only been a handful of times in recent years. This hasn’t been an intentional omission on my part. 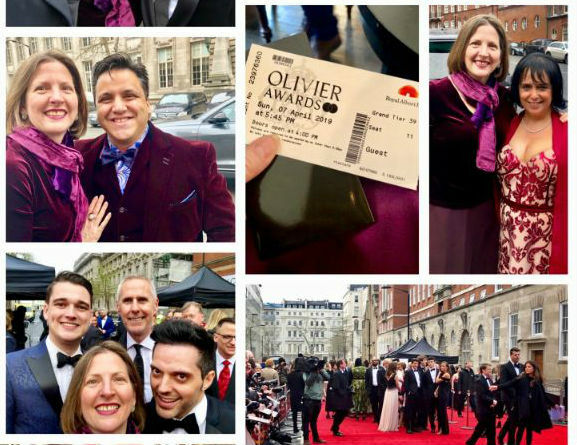 When I left WhatsOnStage, I dropped off the NT’s opening night list (which is understandable), and with other commitments and financial restraints – not least, trying to run three websites and related start-up businesses – I haven’t felt much need either to mourn the loss of invitations nor to pay my way into seeing what I’m missing. The truth is, there is always more incredible theatre on offer across London than I ever have time to fit into my schedule. And second, popping into my inbox, a “Looking Forward to 2017 at the National Theatre” reminder from the press office (I do still receive their press releases as per my request – they’re not purposely taunting me!). Absolute top of my NT wish-I-can-sees lists: the Brexit Britain verbatim piece My Country, followed closely by Marianne Elliott’s production of Tony Kushner epic Angels in America, with its Rolls Royce casting including Andrew Garfield, Nathan Lane, Russell Tovey and (again) Denise Gough. But whether its current success continues with or without my attendance, it gives me great pleasure to see NT artistic director Rufus Norris really hitting his stride on the South Bank. 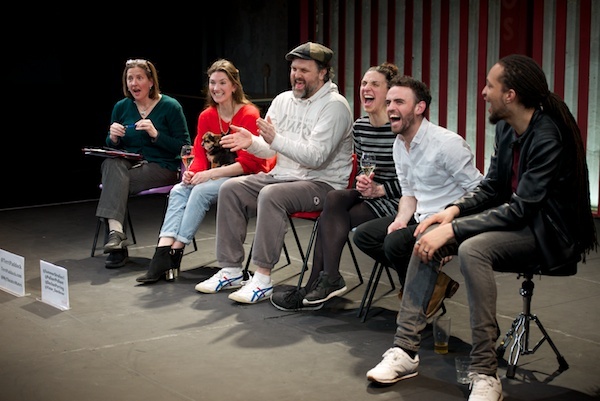 Jessie Thompson: The most visible theatre in the country has set an incredible example with a diverse, boundary-pushing year of plays… That’s what they call playing a blinder. 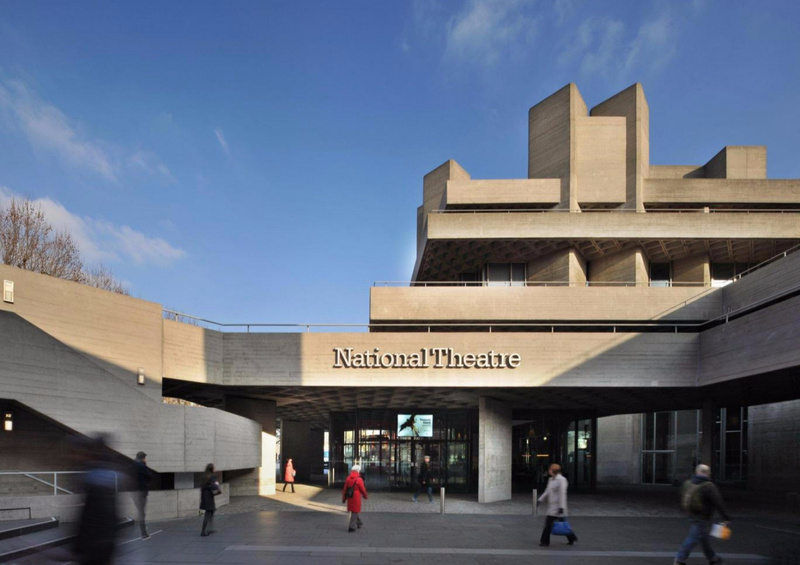 The National Theatre’s 2016, viewed as a whole, is like a luscious, epic landscape painting. It’s been nothing short of magnificent. The National Theatre belongs to all of us, it serves us, and it’s never felt more like it reflects all of us. It has offered us stories about racial politics, working class pain, feminist liberation and it has been often international in outlook, whilst still keeping a keen eye on domestic concerns. 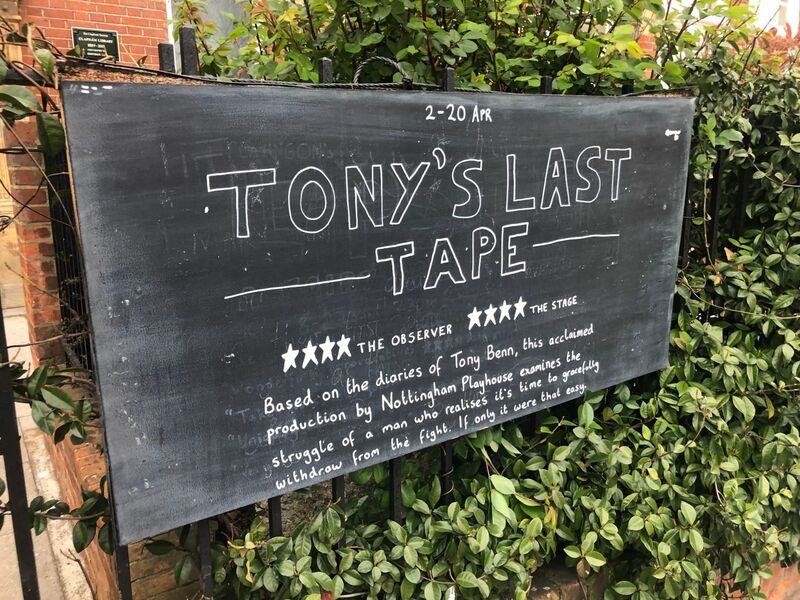 But it’s not just that the stage is no longer the preserve of the dead white men – the work itself has been far and away some of the best in London. Shows highlighted include: Jane Eyre, People Places and Things, Another World, Iphigenia in Splott, Young Chekhov, Amadeus, Ma Rainey’s Black Bottom, The Plough and the Stars,The Deep Blue Sea, Hedda Gabler, Cleansed, The Flick, Our Ladies of Perpetual Succour. Simon Godwin directs a joyous new production of Twelfth Night by William Shakespeare. Tamsin Greig is a transformed Malvolia, alongside a cast including; Oliver Chris, Daniel Ezra, Phoebe Fox, Tamara Lawrance, Doon Mackichan and Daniel Rigby. Twelfth Night previews from 15 February in the Olivier Theatre, press night 22 February and will be broadcast to cinemas worldwide by NT Live on 6 April. Ugly Lies the Bone an award-winning play by Lindsey Ferrentino has its European premiere in the Lyttelton Theatre with previews from 22 February, press night 1 March. After three tours in Afghanistan and months in a severe burns unit, Jess (Kate Fleetwood) finally returns to Florida. In a small town on the Space Coast, Jess must confront her scars, and a home that may have changed even more than her. Experimenting with pioneering virtual reality therapy, she builds a breath-taking new world where she can escape her pain. This honest and funny new drama is directed by Indhu Rubasingham. In the days after the EU referendum, the National Theatre began a nationwide listening project. 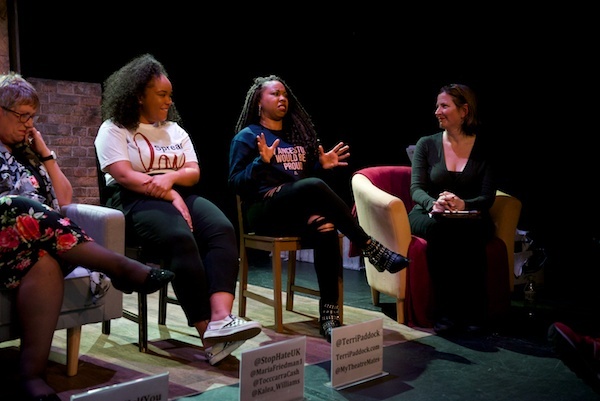 A team of interviewers spoke to people around the country – from Leicester to Derry/Londonderry and Merthyr Tydfil to Glasgow – to hear their views of the country and town they live in, their lives, their future, and the referendum. Using exact words taken from the interviews, My Country; a work in progress puts those conversations centre stage. Rufus Norris, Director of the National Theatre, collaborates with Carol Ann Duffy, Poet Laureate, to create this new production which plays in the Dorfman Theatre from 28 February to 22 March prior to a tour of the UK and Holland from 27 March to 1 July. Mosquitoes by Lucy Kirkwood will have its world premiere in the Dorfman Theatre in July. 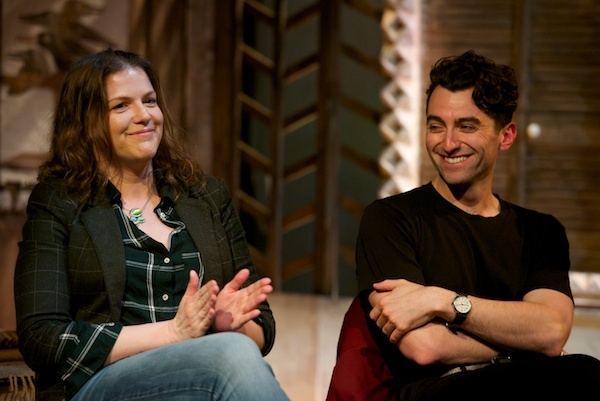 Rufus Norris will direct this new play about families and particle physics, with a cast that includes Olivia Colman. In May, Marianne Elliott will direct Tony Kushner’s Angels in America, with Andrew Garfield returning to the National as Prior Walter. Previews begin on 11 April, with Press Night on 4 May. The company also includes Susan Brown, Nathan Lane, James McArdle, Nathan Stewart-Jarrett, Denise Gough and Russell Tovey. Angels in America will be broadcast to cinemas worldwide by NT Live later in 2017 (dates tbc).